Sabina: It was truly a beautiful experience. The Super Bowl is such an epic moment that really brings people together from all over the country. The first time we walked out into NRG stadium I felt so overwhelmingly American. You could feel how much pride and community was shared throughout the stadium. Also, Lady Gaga’s message of celebrating individuality was something I felt very proud to represent as well. Right before we went on stage I really was close to tears! Sabina: We were in rehearsals for about a month to prepare. There were many phases of rehearsal: learning choreography, staging formations, and transitions, rehearsing on the production stage, costume and makeup, rehearsing on the actual stage, etc. A performance at this caliber has so many moving parts, so as a dancer all you can do is know your choreography and staging and be as prepared as possible for any last minute changes. Sabina: I personally take each performance as a learning experience, each giving me tools to bring to the next job so that I can always find ways to improve what I do or how I do things on the job. 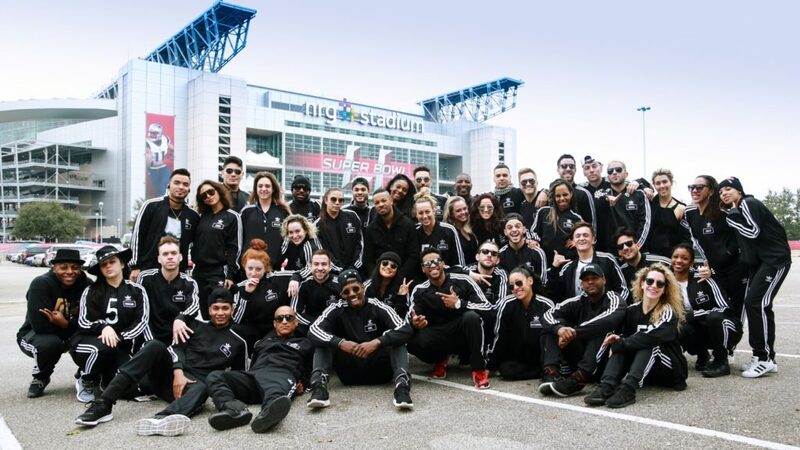 Each job has a unique cast of dancers and a different crew that offer new perspectives to learn from. Something particularly great about this team was the level of professionalism and kindness that everyone operated on. I hope to bring both of those aspects along to my next job. Sabina: I honestly never thought I would do something like this. When I was 18, I stopped dancing and moved to New York for college. I definitely didn’t have the confidence to pursue a dance career. Slowly but surely, dance came back to my life. So now at 25, looking back at the progression of my career I’m really proud and humbled to have the opportunity to dance at the Super Bowl. Anything is possible! Sabina: Work hard, stay focused and always be nice! Sabina: The industry is so fast paced so you never know, but luckily I have Dana Foglia Dance as a home to return to. I can always count on more training and shows with the company! Sabina: Well first I’d like to thank Richy Jackson for trusting in me enough to put me up there on the Super Bowl stage with some amazing dancers who have been with him for years. I’d like to thank Dana Foglia my mentor for always believing in me and bringing out my best. And lastly my family and boyfriend for being the best support system I could ask for.